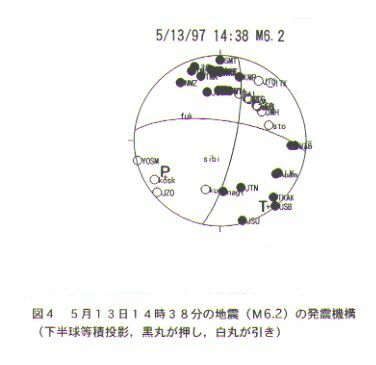 The earthquake(Mjma 6.2) occurred in the northwestern Kagoshima at 1 4:38 on May 13,1997.The distribution of the focus is shown in fig.1. 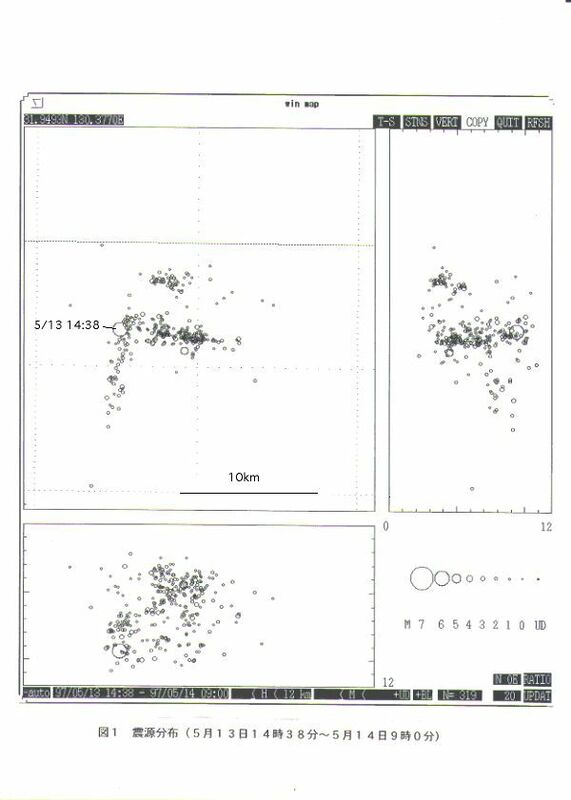 Moreover, the distribution of the focus of a just before March 26 to May 13 (Mjma6.2) is shown in fig.2. The distribution of the focus from March 26 or later to present is shown in fig.3. There are the following features in the distribution of the focus. 1) The distribution of this aftershock is a character type of L, and the main shock located in the crookedness part of L character. 2) Among those, the distribution of east-and-west strike is offset and distributed over about 4km south of the distribution of aftershock on March 26(Mjma6.3). 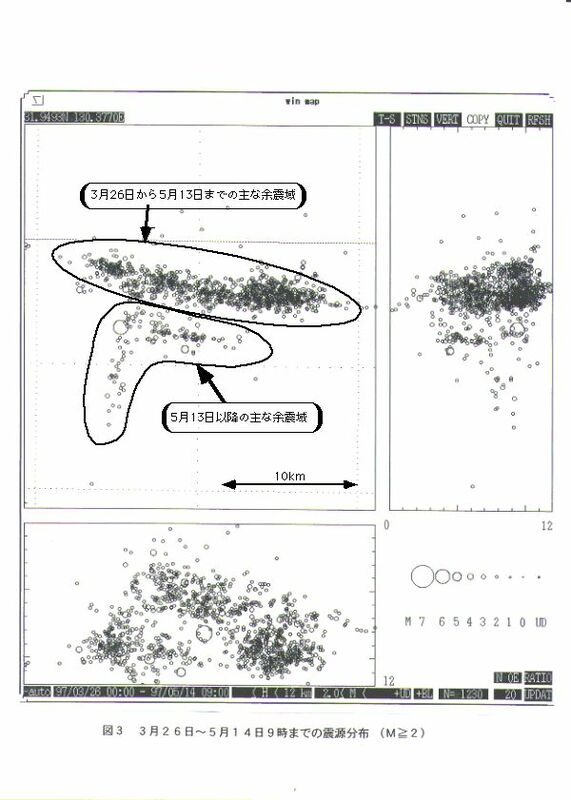 3) In addition, the distribution of north-south strike is seen. The earthquake-mechanism (fig.4)is the lateral fault of northeast-southwest compression and northwestern-southeast tension, and the distribution of strike corresponds to auxiliary plane activity. 4) As shown in the distribution(fig.5)between space-time, foreshock activity does not accept near the focus of this main shock. 5) In the aftershock activity until this time, the east-and-west strike is more active. Big aftershock (Mjma4.7) of the scale that occurred at 8:32 on 14th was also within the limits of the distribution of east-and-west strike. 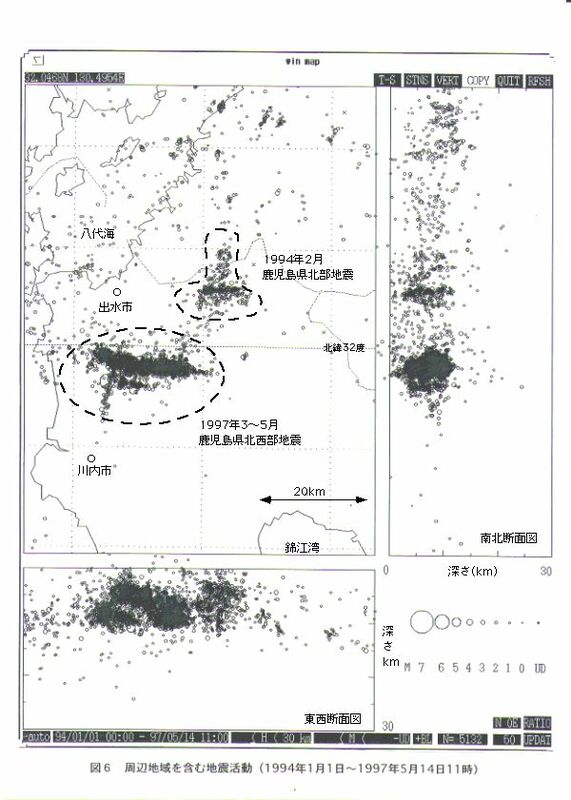 6) The seismic activity of auxiliary plane accepts also in the case of the northern Kagoshima earthquakes in February,1994(fig.6). 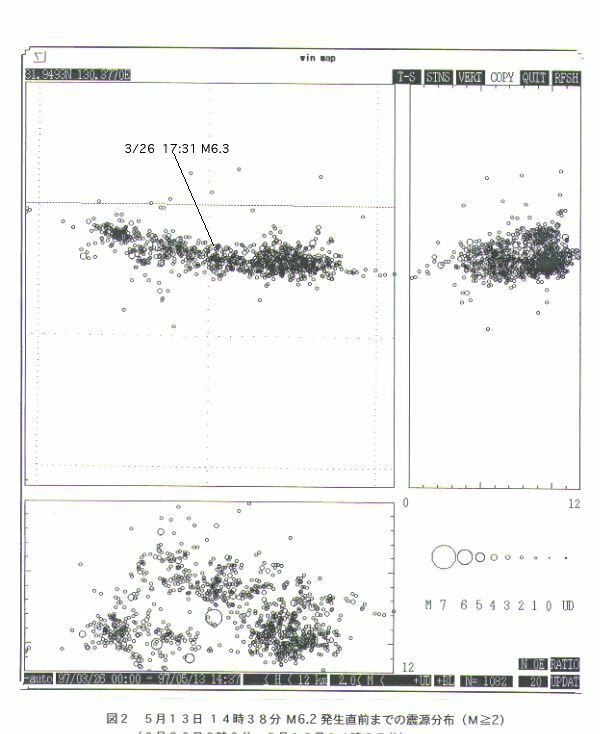 In addition, supplementary data, such as aftershock frequency by the day, are shown in fig.7. The result of the analysis about the source parameter is shown here. 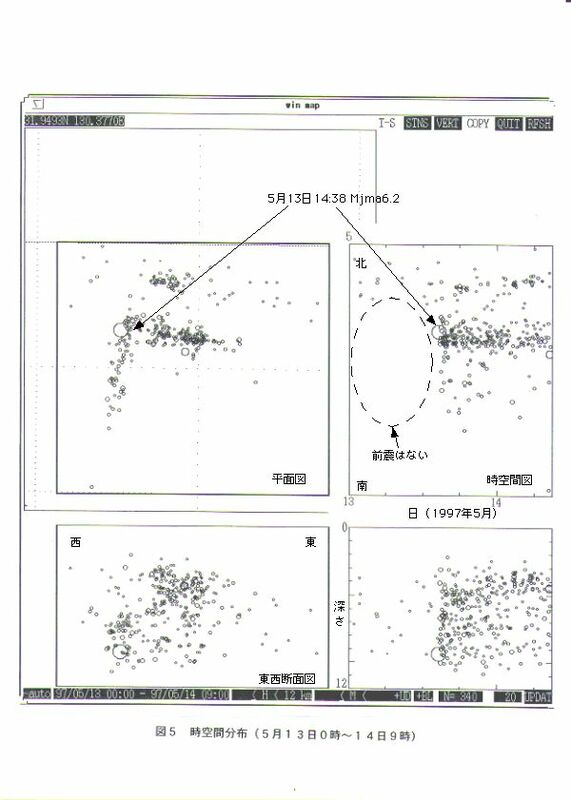 The earthquake observation data of the Shimabara Earthquake and Volcano Observatory, Graduate School of Sciences, Kyushu University, Nansei-Toko Observatory for Earthquake and Volcanoes, Kagoshima University, Earthquake Research Institute, The University of Tokyo, Faculty of Science, Kochi University, the Meteorological Agency were used for the analysis.